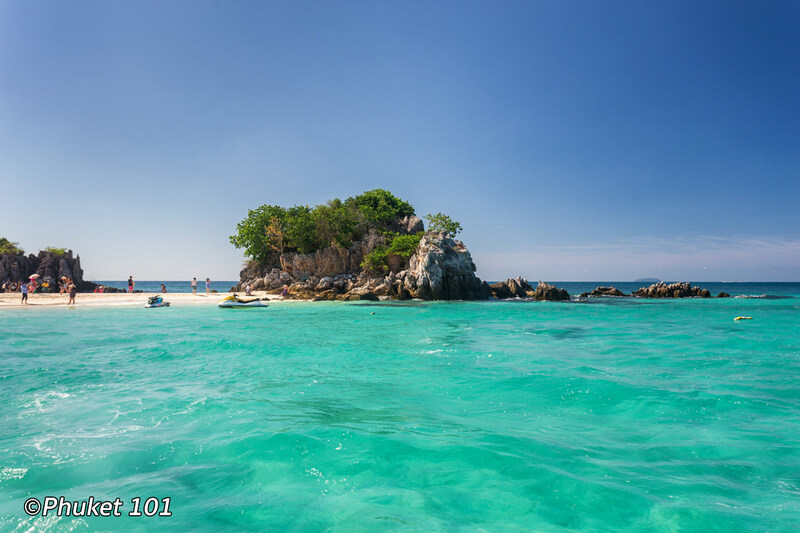 Koh Khai are famous tiny islands just 15 minutes speedboat ride from Phuket east coast. 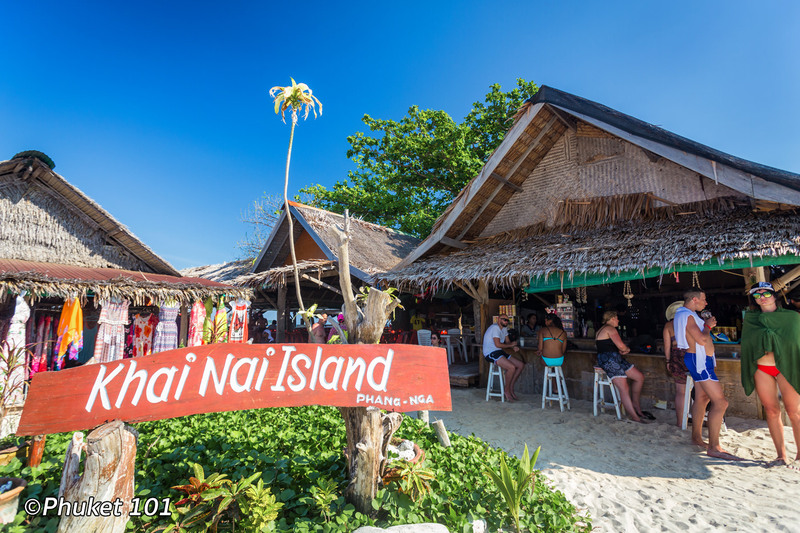 There are 3 islands: Koh Khai Nai, Khai Nai Island and Koh Khai Nok, but their names get a little confusing, especially once you know that ‘Koh’ means ‘Island’ in Thai. Two of them (Koh Khai Nai, Khai Nai Island) have become popular for their superb sandy beaches and incredibly clear water where a swarm of colourful and friendly fish come to swim around you. Such landscape makes incredible photos to take back home, but you must remember that feeding the fish is strictly forbidden: What seems to be an innocent gesture or even a nice thing to do for the fish translates into an ecological catastrophe. Worst of all: feeding bread or anything to the hungry fish has become illegal, and you could be arrested for it! 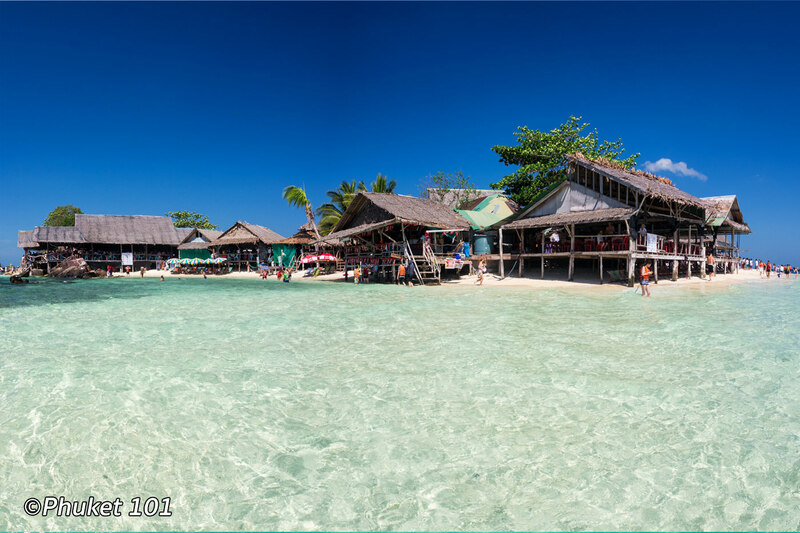 So if you are sitting in an office in a cold country, the Koh Khai Islands look like heaven but don’t expect a Robinson Crusoe experience as they are usually crowded and speedboats line up in front of the beach. 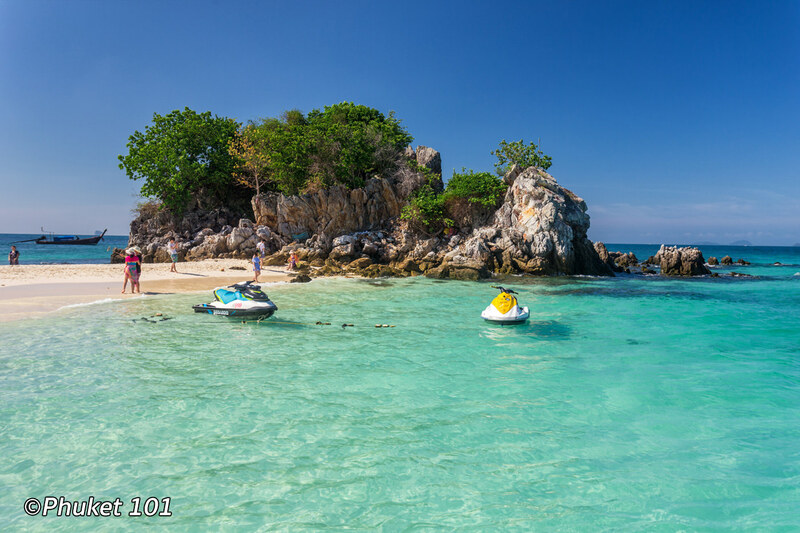 Those islands are so pretty and so close to Phuket, they often are the first items on the list of islands to visit. 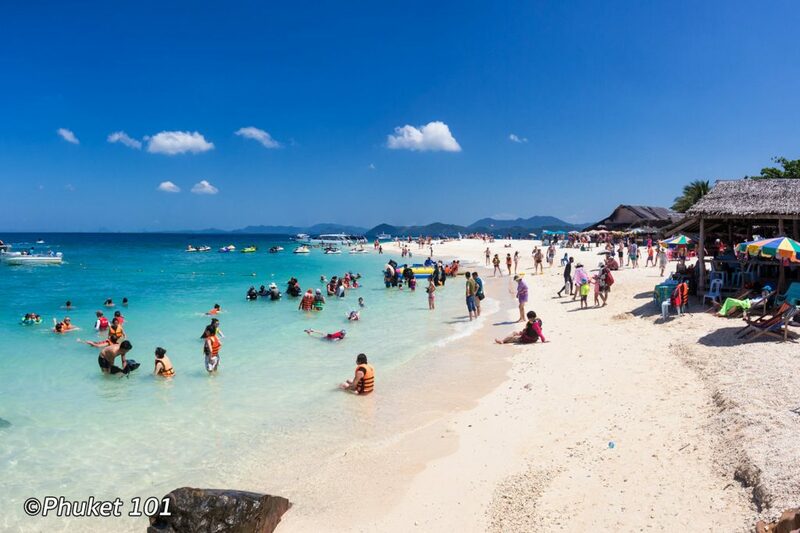 Khai Nai and Koh Khai Nok are the most popular because of their postcard white beaches peppered with beach chairs and umbrellas where you can sit and relax for the day. 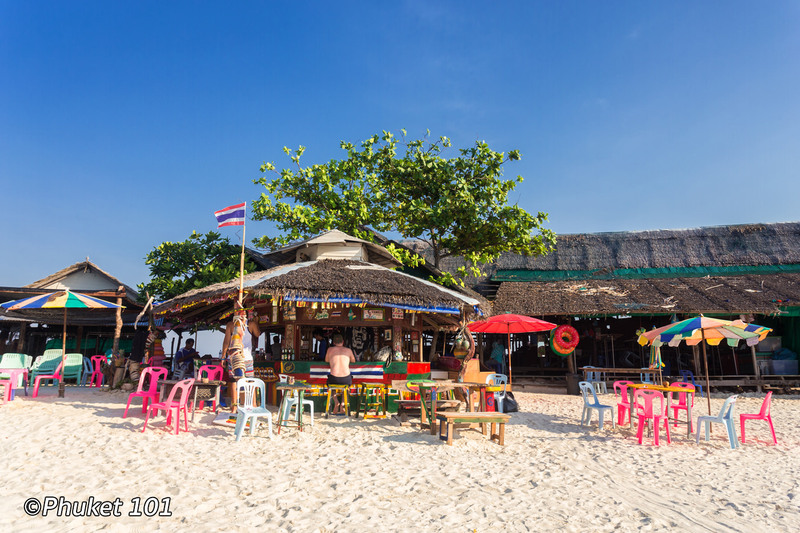 The islands even have small bars where you can buy your soft drinks, coconuts or beer such as Ratree Beach Bar and the unavoidable Reggae bar. 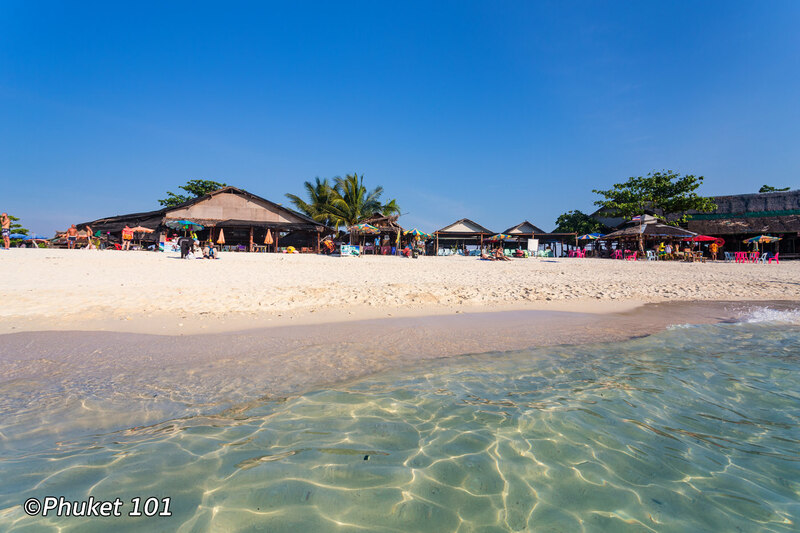 The other islet, Koh Khai Nai, doesn’t have a beach or any facilities but is good for snorkelling. Getting there is relatively easy since most tour companies offer this tour as a half day or even better, as part of a trip around the bay that usually include some kayaking as well.